A chef de partie is responsible for running a specific section of the kitchen. Typically they’ll manage and organise a small team of workers to ensure dishes go out on time and the work area remains clean and orderly. In smaller kitchens, a chef de partie may work independently as the only person in their section. Also known as a station or section chef, the chef de partie reports to the senior chef and has a very important role in any kitchen. This qualification requires you to demonstrate the skills and knowledge required to work in a professional kitchen. This qualification will take around 12 – 18 months to complete. Suitable evidence can be observations completed by your assessor, testimony provided by your line manager or discussions with your Assessor supported by evidence. 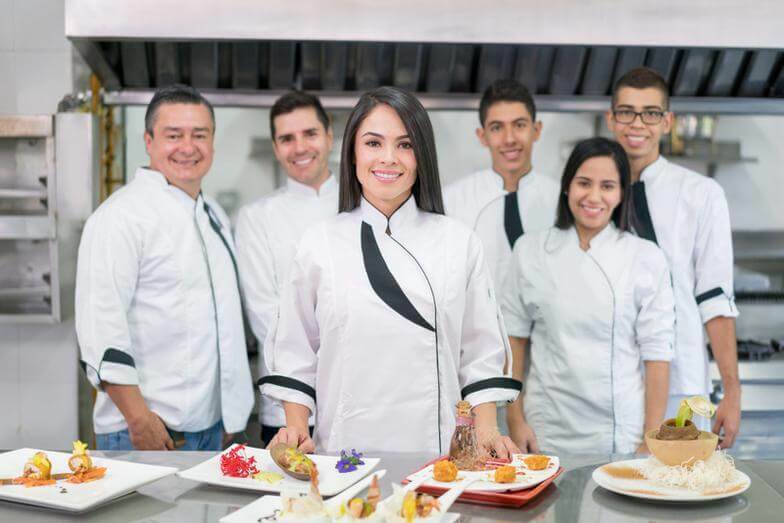 You will also need to undertake a knowledge test, skill test and professional discussion as well as culinary challenge project and observation.